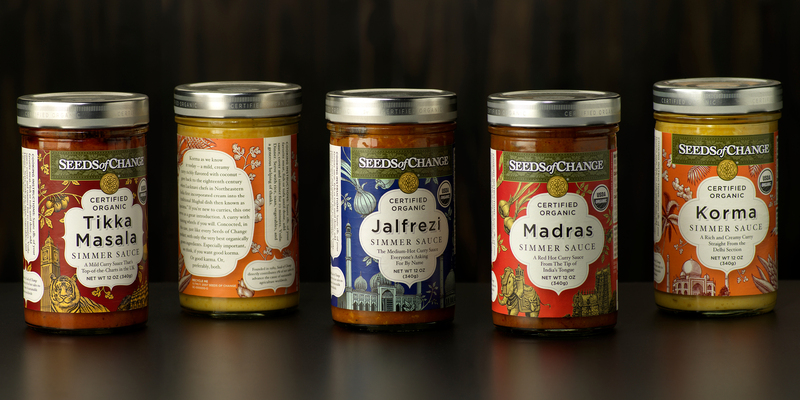 Seeds of Change is an organic seed company turned food company, a literal seed-to-plate story. We created packaging for their lines of sauces, grains, chocolate and frozen entrées. 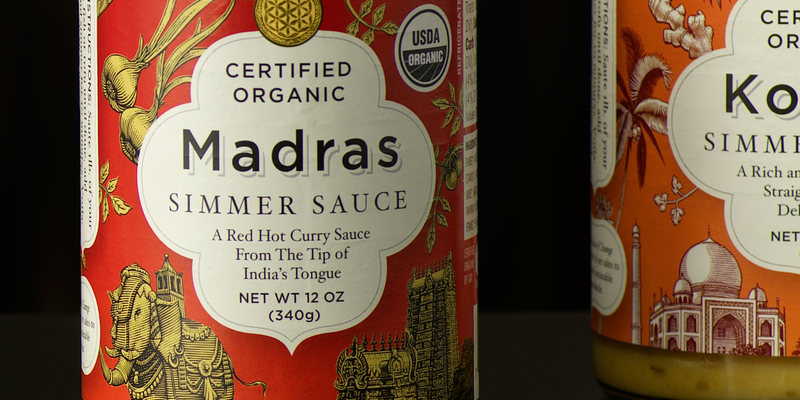 For simmer sauces, we designed labels whose stories revolved around the place of origin of an exotic flavor. A similar approach was used for their line of wild grain recipes. Organic chocolate bars feature authentic recipes from a variety of chocolate-centric areas of the world. The packaging was inspired by bank notes and stamps from these cultures. For their pasta sauces and frozen entrees, we chose to convey a farm-to-plate story, utilizing fresh raw ingredient photography juxtaposed with appetizing entrée images.